The expert in beauty, wellness and bubble baths. With the recent launch of Royalton's new bath program Bubbles + Bubbles, we sat down with soaking expert and Soak Society founder, Natalie Thorogood. 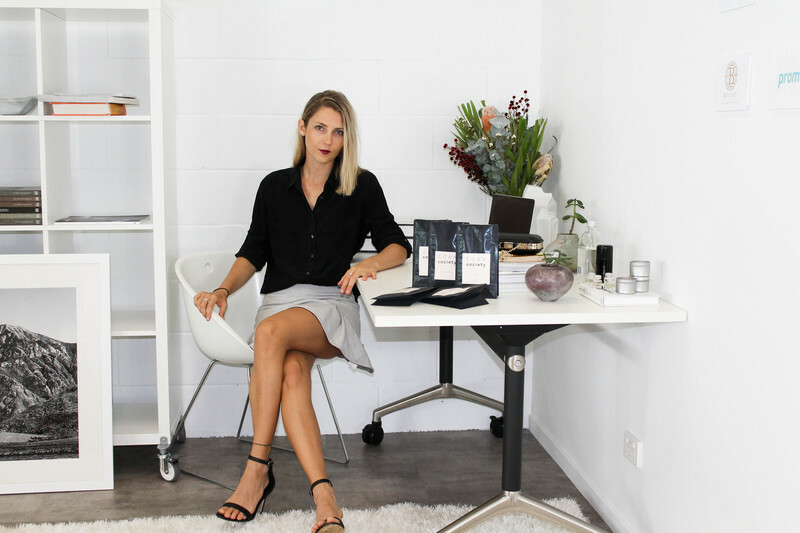 The Australian based entrepreneur gave us an inside look into her beauty and wellness business and why its's essential to live a healthy stress-free life. We would say shes reinventing what it means to relax with wellness soaks made from only the finest, natural and organic ingredients. Life's all about balance, working hard to reach our dreams and taking that me-time to relax. We've also included Natalie's go-to beauty products that she swears by, so now we're checking out natural skincare brands like Mukti, Saya, Weleda and Acure to add to our daily beauty routine. You can try out Soak Society's Rose Wellness Soaks when booking the Bubbles and Bubbles package, encompassing a collection of curated wellness elements creating the ultimate bath experience. I was born and raised on the Sunshine Coast, Queensland Australia, and moved back here in August last year. I've lived in Canada and Mexico before that, and a few other cities around Australia. I live right next to the beach, so I love that I can start my day with a walk on the beach and sometimes with a swim. Then it's emails, sending out orders, working on collaborations and business development. By far my favorite part is testing out new types of soaks - I love mixing different essential oils, salts and clays to create a beautiful product. There's never really a 'typical' day, as sometimes I'm traveling to Brisbane or Sydney for meetings and events, and others I'm working over a weekend so might give myself a day off during the week and have a nice long bath. It's all about balance after all! How did you get into beauty + wellness? Provide us a little background on how you started Soak Society. 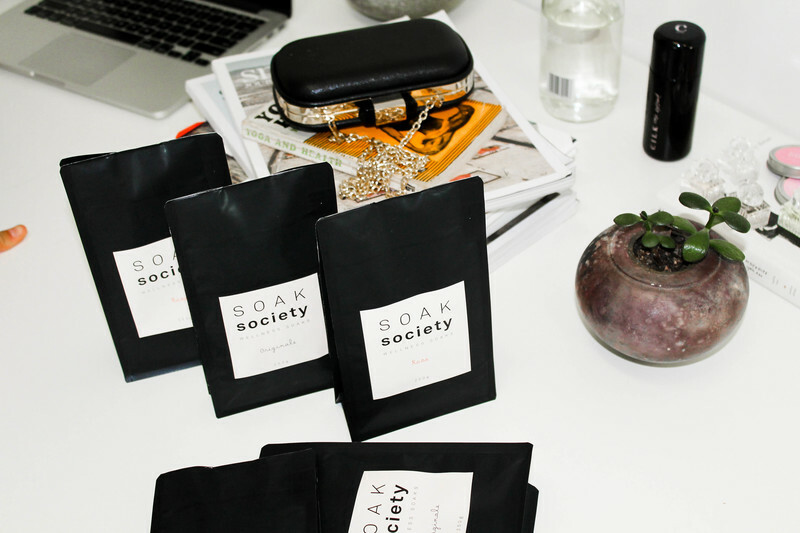 I launched Soak Society in 2014 because I started creating custom bath salt mixes in my kitchen with epsom and other natural salts, clays and essential oils. Then I wanted to share them with the world. I couldn't find anything similar on the market. I found a gap and just went for it, launching each new product gradually. I believe beauty and wellness go hand in hand, and with our brand message hustle-soak-repeat, we're telling women that setting aside regular me-time is essential to success, and revealing that natural glow that comes from being well rested. What did you do before starting Soak Society? Was this always something you wanted to do? I've had so many different jobs, it's actually crazy. But I think they all led me to where I am today. I've got a bachelor's degree in communications, but have been everything from an Assistant Manager at a hotel at 19, to a Nurse's Administrator for the Flying Doctor in Western Australia's Remote Kimberley region. I truly believe my greatest strength is being adaptable and just making the most of any life situation I'm in. What have you learned while building your own brand? Any advice to young entrepreneurs? The most important thing I've learned in my entrepreneurial journey is to always believe in yourself. It sounds cliche but it's true. We tend to put limitations on ourselves, when we're the only ones creating those limitations. Honestly, there is nothing you can't do, all it takes is consistent hard work and a belief that you will succeed. Even if money is an issue, you will find a way. My advice to young entrepreneurs is to never think that you can't do something. I really wish I knew that earlier, because I spent a lot of time telling coming up with reasons for why I couldn't do something. What are the most important things in balancing a healthy lifestyle? The biggest thing I've learned over the years is to keep stress under control, because it affects every other part of your life. If you're mega stressed it will most likely be reflected on poor digestion, skin and mood. For me, managing stress means taking regular breaks from work, daily TM (transcendental meditation), eating well and keeping alcohol consumption to a minimum. I also practice yoga 1-2 times a week and try to do a fun exercise class like Booty Barre as well. I've found that I need to support my liver with a daily dose of herbal tonic too. Tell us your beauty regimens? I am so passionate about avoiding chemicals in skin and body care. I use organic and all natural skincare brands like Mukti, Saya (made locally in Noosa), Weleda and Acure. Of course I love to soak regularly (the Rose wellness soak is my favorite) and aim for once a week on a Sunday evening. I also love foot baths with our soaks and will do a mini at-home pedicure afterwards with Kester Black nail polish. For inner beauty, I drink Cilk rosewater and The Beauty Chef's probiotic elixirs in my sparkling water! What does a typical diet look like for you? At the moment it's Winter and starting to get really cold so I love to eat warming foods like porridge for breakfast, a warm salad or sandwich for lunch and I love to make Sri Lankan and Indian curries in the evenings with lots of turmeric, ginger and garlic for immunity. There's usually a green juice or smoothie in the mix somewhere, and some chocolate! I'm vegetarian (mostly vegan) so the center of every meal is usually vegetables and legumes. Australia is such an amazing place to live, the lifestyle and quality of life seems very positive. Tell us your favorite things to do down under? It really is, we have so many beautiful places and are lucky to have a relaxed way of life. I love visiting Byron Bay, which is 3 hours drive from me, the vibe is just so awesome and the hinterland and beaches are next level beautiful. On the Sunshine Coast I love to go to local farmers markets on the weekends, climb Mt Coolum and drink good coffee! If we were to visit Australia once, what would you tell us to do? So many visitors just head to Sydney to see the Opera House and Harbour Bridge, but I would say - get off the beaten track, go to Broome, Kununurra and all the national parks in the Kimberley to experience our indigenous culture and unique natural environment. What are some of your favorite Australian brands? Beauty product? Swimwear? My favourite fashion labels are Sass & Bide and Camilla & Marc. My favourite beauty brand is INIKA cosmetics, an all natural vegan brand. We're really excited about partnering with you on Royalton's bath program! What benefits do your wellness soaks have for our guests? We call them wellness soaks because there was a holistic approach to creating each one. All our soaks are completely natural, so you'll find no synthetic colours or fragrances, or even preservatives. In our Rose soak, we use pink Kaolin clay instead of colourants and it's benefits include; moisturizing because it does not draw out any oil from your skin, exfoliating and gentle cleansing. This is combined with epsom salt to add more magnesium to your body (a mineral we are usually all deficient in) and release muscle tension and help with cramps. We also use pure organic essential oils of which the therapeutic benefits of are amazing. Rose geranium can have a balancing effect on the nervous system and adrenal cortex and can help with PMS symptoms! Rosa damascena tones and improves skin texture to give you a beautiful healthy glow, and the aroma can also help with anxiety and promoting relaxation. The combination of all these ingredients makes for the most incredible bathing experience, and best of you can feel good knowing you're not soaking your body in harmful chemicals.